Amtrak Experiment Makes No Friends. We all know that Amtrak has been under relentless pressure to reduce costs. In particular, their food service operation has been targeted by Congressman John Mica (R-Florida), who continues to use the issue to meet his primary goal: media attention for himself. Normally, dining car meals are included in fares paid by passengers traveling in sleeping cars, but as an experiment—and no doubt as a sop to Congressman Mica—about a month ago, Amtrak removed the dining car from the Silver Star, one of its two trains running between New York and Florida. 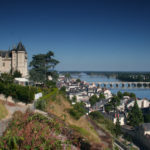 Fares for sleeping car passengers on the train were reduced and all passengers—coach and sleeper—now get their food from a café car and they all pay for it. 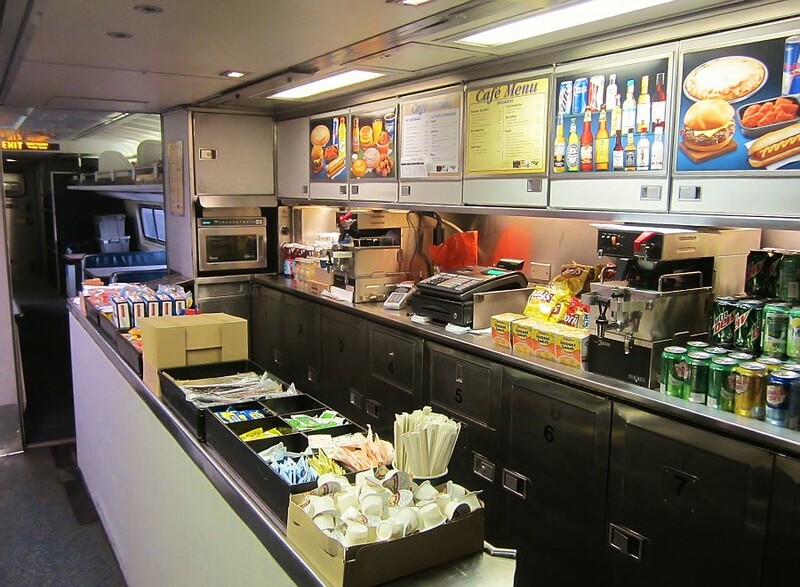 Meanwhile, Amtrak’s other Florida train, the Silver Meteor, continues normal operations … that is, with a full-service dining car as well as a café car. Revenue figures and passenger comments for the two trains will be compared and conclusions drawn. Let us hope that after the trial period is over, and cool heads and common sense prevail, each train will again have both a dining car and a café car. OK, how’s the experiment working out so far? Are sleeping car passengers happy with the microwaved sandwiches from the café car in exchange for substantially lower fares? Uh … well, no. In fact, they seem to hate it. 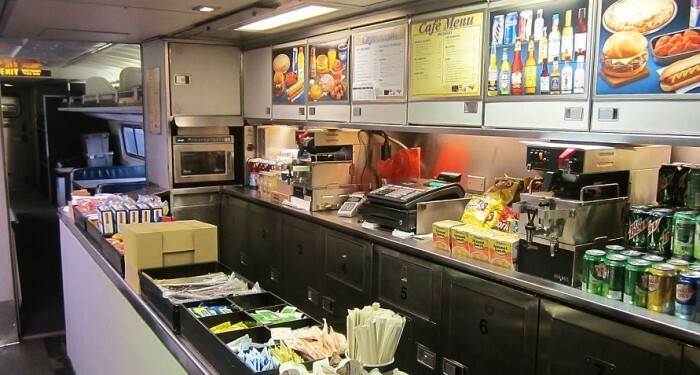 Amtrak cafe cars include a number of booths and a counter where passengers can purchase cold drinks, snacks and microwaved sandwiches from an attendant. Station agents in Tampa said they have received many complaints about the loss of the diner. Except for two folks in the sleeper going short distances (West Palm to Orlando and Raleigh to DC) all passengers I talked to were not happy about the loss of the diner. Both sleeping car attendants said about 80% of the customers complain to them about the lack of a diner. They have not seen an increase in serving passengers in their rooms, but have seen a decrease in tips. The conductors said they have heard lots of complaints about no diner from passengers. Coach attendant said some coach passengers also complained about the lack of a diner. That last comment—about complaints from coach passengers—is significant because they pay for their dining car meals. That means if, to save money, dining cars are removed from Amtrak long-distance trains in favor of café cars, calculation of results will have to include lost revenue from coach passengers. Bob’s report concludes with the obvious: unhappy passengers don’t come back and, furthermore, they’ll tell their friends. He urges Amtrak to reduce the length of the experiment from seven months to 90 days. 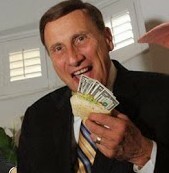 So … Congressman Mica. Happy now? Previous Australia Revisited: The Indian Pacific. I discovered that amtrak is continuing this horrible experiment on the silver star until april 30, 2016. 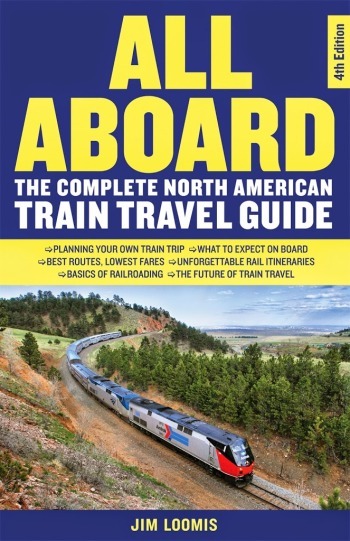 Even though i live on the west coast, I would one day like to experience east coast long distance trains. Paying an upcharge and still having to pay for my meals will definately make me think twice about booking on the silver star. Perhaps if they wanted to experiment with food services, instead of punishing the entire train with bus station, overpriced, microwaved garbage, they should have kept the dining cars on the star and bidded the food service for the dining car to a national restaurant chain like an olive garden or a black angus or along those lines. Granted that public transportation is not supposed to ever run at a profit, by bidding this service could save money on sourcing the food, avoiding loss by food spoilage and whatnot, it would not punish train passengers making us eat bus station overpriced microwaved garbage. Just a thought about this horrible experiment and probably a good selling point. A steakhouse or italian restaurant on wheels without the headaches and the idiot congressmen attacking amtrak. My wife and I used to travel 3 to 4 times a year. 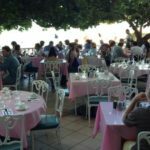 We would book a sleeper and enjoy the folks we shared a meal with. We have suspended our Amtrak trips and are driving instead. We will return after the “experiment” and hope that some of the issues (like toilets and AC that doesn’t work from Tampa to DC) are remediated. BRING ‘EM BACK!…FIXED!!!! Your frustration is shared, believe me. Still, I much prefer the train to either driving or flying. In the meantime, write your member of Congress and ask for more money for Amtrak. The great pity is, it won’t take that much more for improvements such as the ones you mention can be made.